ATB Projects is a Rockhampton, Queensland-based company with interests in fencing, stock yards, stables, entranceways and cattle yards. Serving the Central Queensland area, ATB Projects offers the full scope of cattle yard services from demolition of old structures and initial site preparation to the supply and installation of new cattle yards. 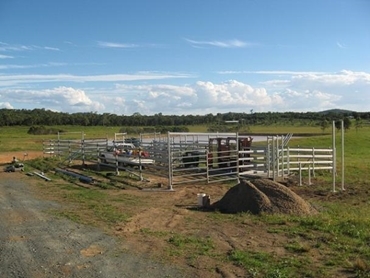 ATB Projects offers high levels of functionality and safety in their cattle yards. Troughs, sprinklers and drainage systems are positioned correctly to ensure safety of staff and livestock during stock handling jobs. ATB Projects can work on cattle yards for stock sizes ranging from 50 heads to 500 heads.